There are 33 Assisted Living Facilities in the Cudahy area, with 4 in Cudahy and 29 nearby. The average cost of assisted living in Cudahy is $4,776 per month. This is higher than the national median of $3,346. Cheaper nearby regions include Saint Francis with an average starting cost of $3,445. To help you with your search, browse the 117 reviews below for assisted living facilities in Cudahy. On average, consumers rate assisted living in Cudahy 4.8 out of 5 stars. Better rated regions include Pleasant Prairie with an average rating of 4.9 out of 5 stars. Caring.com has helped thousands of families find high-quality senior care. To speak with one of our Family Advisors about assisted living options and costs in Cudahy, call (855) 863-8283. Cudahy is a well-developed urban community in the larger South Milwaukee area, with a large retail area overlooking Lake Michigan. More than 18,000 people live in Cudahy, and over 18 percent are seniors aged 65 and over. At least 33 assisted living facilities operate in the Cudahy area for seniors who want to live as independently as they can, but who still need help with some daily activities. 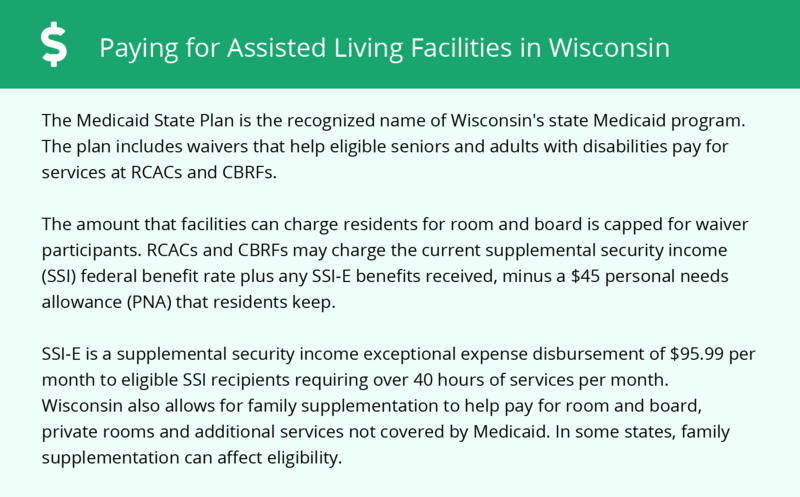 These communities, like those in the rest of the state, are licensed through the Wisconsin Department of Health Services Bureau of Assisted Living Division of Quality Assurance. The weather in Cudahy is kept relatively stable by the presence of Lake Michigan, though winters can get cold. Overnight lows in January average just 16 degrees, and winter sees roughly 47 inches of snow each year. This can be an issue for cold-sensitive seniors. Summers are generally mild, with daily highs averaging 80 degrees. Warm months see 34.5 inches of rain in Cudahy. The cost of living in Cudahy is not high by national standards, though it is a bit above the average cost of living in the state of Wisconsin. Across most common categories of expense, seniors in Cudahy pay roughly one percent more than the national average, while healthcare costs run to around five percent above national rates. Crime rates in Cudahy are generally low. In all categories combined, Cudahy has less than half the crime of similar cities nationwide. This is mostly property crime, such as theft. Violent crime is even less common in Cudahy, making the public spaces relatively safe for seniors. Seniors in Cudahy can use the scheduled routes of the Milwaukee County Transit System (MCTS) to access the entire lakeshore area. Seniors age 65 and over qualify for discount fares on MCTS buses, and seniors with disabilities may get a premium discount on all rides. Dial-a-ride service is offered with short turnarounds in most areas. The Cudahy area is home to world-class medical facilities, including those specializing in brain health and dementia care such as Aurora St Luke's Medical Center and Aurora St Luke's South Shore, in the event of medical emergencies or illness. Cudahy has an array of community resources for seniors, including the Wisconsin Home Energy Assistance Program (WHEAP), an organization that helps pay emergency heating and electric bills, as well as two senior centers. Assisted Living costs in Cudahy start around $4,776 per month on average, while the nationwide average cost of assisted living is $4,000 per month, according to the latest figures from Genworth’s Cost of Care Survey. It’s important to note that assisted living rates in Cudahy and the surrounding suburbs can vary widely based on factors such as location, the level of care needed, apartment size and the types of amenities offered at each community. 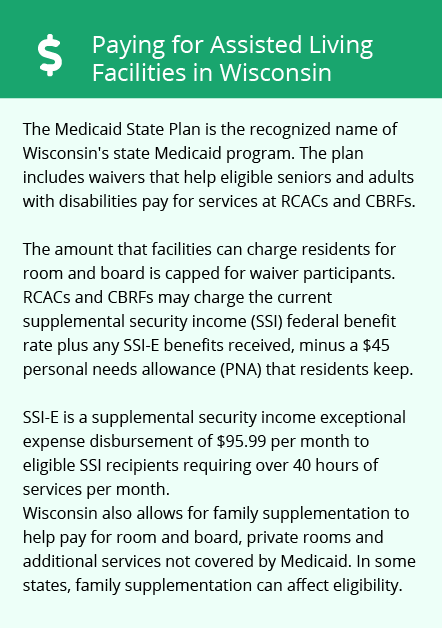 Seniors in Cudahy who meet federal guidelines for low-income programs, such as SSI, may be able to get help paying for assisted living through the Wisconsin Medicaid program. Cudahy and the surrounding area are home to numerous government agencies and non-profit organizations offering help for seniors searching for or currently residing in an assisted living community. These organizations can also provide assistance in a number of other eldercare services such as geriatric care management, elder law advice, estate planning, finding home care and health and wellness programs. To see a list of free assisted living resources in Cudahy, please visit our Assisted Living in Wisconsin page. Cudahy-area assisted living communities must adhere to the comprehensive set of state laws and regulations that all assisted living communities in Wisconsin are required to follow. Visit our Assisted Living in Wisconsin page for more information about these laws.